3 Bedroom Terraced House For Sale in Sheffield for £80,000. 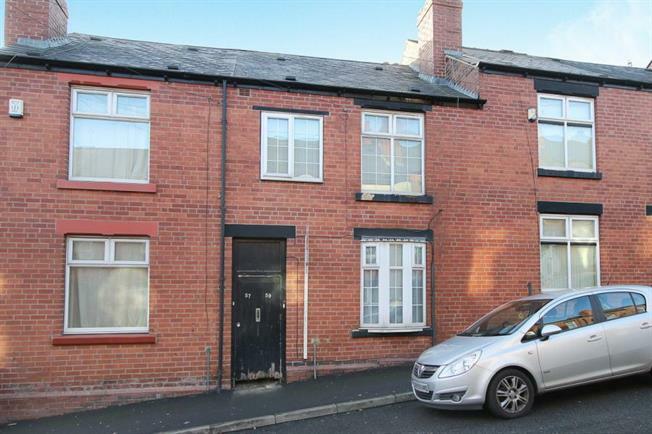 Offering three double bedrooms and two reception rooms is this good-sized mid terraced property that has been maintained by the owner. Having gas central heating and double glazing, the accommodation comprises, entrance lobby, lounge, dining room, good size kitchen, three bedrooms, bathroom with walk in shower cubicle. Outside rear garden with shared passageway and security gate.